Here is a useful accessory for your games console, the GameOn Game Console Organizer. The GameOn Game Console Organizer is designed to organize your games console, controllers, games and all the leads that come with it. 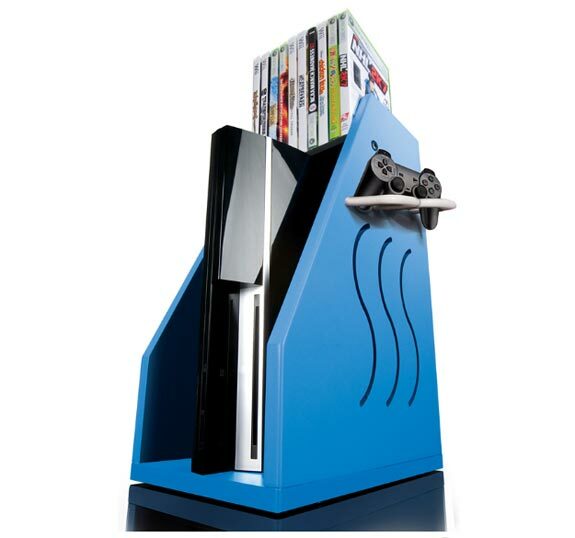 It is designed to also keep you console cool as it is vented, which is great for Xbox owners who want to keep everything tidy but cant put it inside a closed media unit as it may get to hot. The GameOn Game Console Organizer can be wall mounted, and it comes in a variety of funky colors including, red, yellow, blue, green, black and white.If you want one the GameOn Game Console Organizer is available for $59.99 from Amazon .